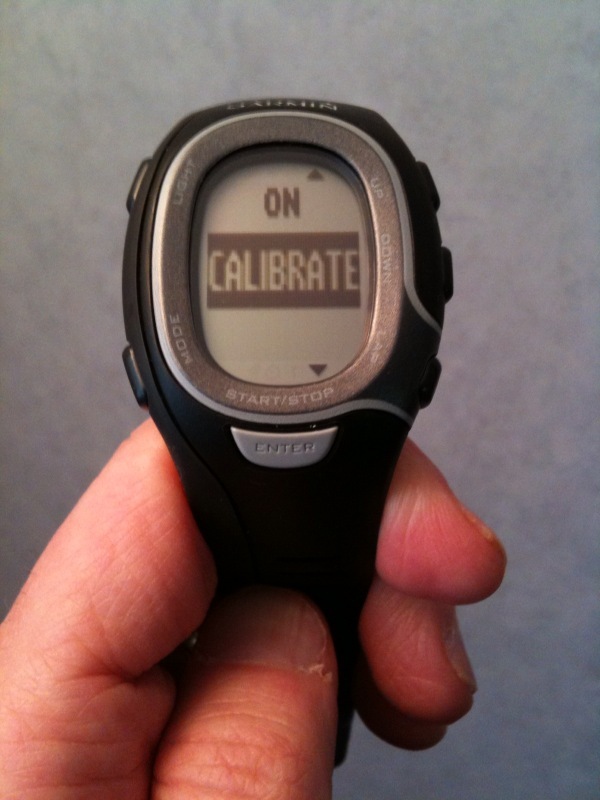 The action of calibrating my Garmin's foot pod is hit or miss. The best way to do it is when you run an exact distance and it calibrates automatically. Another method is to adjust the foot pod based upon a known factor, such as the percentage between what was recorded and what you actually ran. The third way is the worst way and of course it's the one I usually follow because it's also the the easiest. In this case, when I'm consistently over or under recording my distance (compared with Gmaps) I manually compensate by arbitrarily increasing the the index until I get close. Sometimes this works great and the foot pod will report accurately for many runs. Since I often switch the foot pod between pairs of shoes it's usually off by some factor anyway and that's why I Gmap my runs. This morning I adjusted the foot pod thinking that a .05% decrease would compensate for over recording would get me to the 1/100ths of a mile accuracy that I often observe. When I went out this morning on the freshly plowed streets I was moving well. Except for on the spots that were still covered with packed snow my pace was fast and my stride was good. I often follow the same exact route for the first mile to gauge whether the Garmin is ahead or behind my real distance. I must have been confused today because I came through the first mile thinking that the foot pod was under recording, when in fact it was probably off by 3% the other way. I'm still fuzzy about when it chirped and where I was when that happened but when I finished my run the recorded distance was .23 miles greater than what I mapped using Gmaps. I find it hard to believe my calibration was that far off and I have a different theory. Much of the roads were covered with a combination of slush and snow and my form differed greatly when I ran on those sections versus the open pavement. It's possible that this difference in stride, cadence and lift may have thrown off the foot pod. I won't ever really know but I'm planning to reset the foot pod to 100% index value and start again. If I thought that a GPS watch would be more accurate I'd probably buy the Garmin 210. Most of the time I'd be better off just running with a stop watch and calculating pace later, after I'd Gmapped the route. The only problem with that is when I run the trails or on the treadmill and the foot pod also provides excellent data that I value, including split times and cadence. I guess I'll just keep calibrating and hoping for the best.